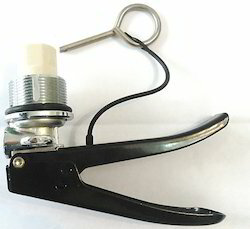 We are offering Fire Extinguisher Safety Pin to our clients. Stainless Steel Fire Extinguisher Stands. We are offering 4 Way Inlet Breeching to our clients. 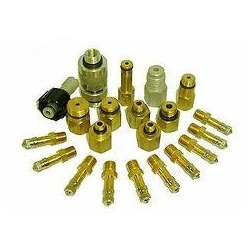 Fire Extinguisher Spare Parts are manufactured using finest grade brass & other basic raw material, these products are suitable to be used for all types of engineering and mechanical applications. Furthermore, our range is in huge demand owing to its outstanding and exceptional characteristics. International Safety Products specializes in offering qualitative range of Fire Extinguisher Accessories like yarn, ropes, cloth, webbing tapes, fire blanket, aprons, suits, welding blanket, coated & uncoated fabrics made of asbestos, non asbestos material like glass fiber, cermaic fiber & silica.